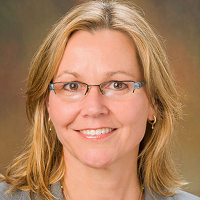 Dr. Janet Reid is an Associate Professor of Clinical Radiology at the University of Pennsylvania with clinical interest in body MRI and oncologic imaging at the Children’s Hospital of Philadelphia. She is also Director of Radiology Education Research at CHOP, where her team evaluates current learning strategies, identifies gaps, and develops innovative solutions housed in a multifaceted Learning Management System (LMS). Previously at the Cleveland Clinic, she created a pediatric radiology educational website with more than 35,000 registrants from 75 countries worldwide.